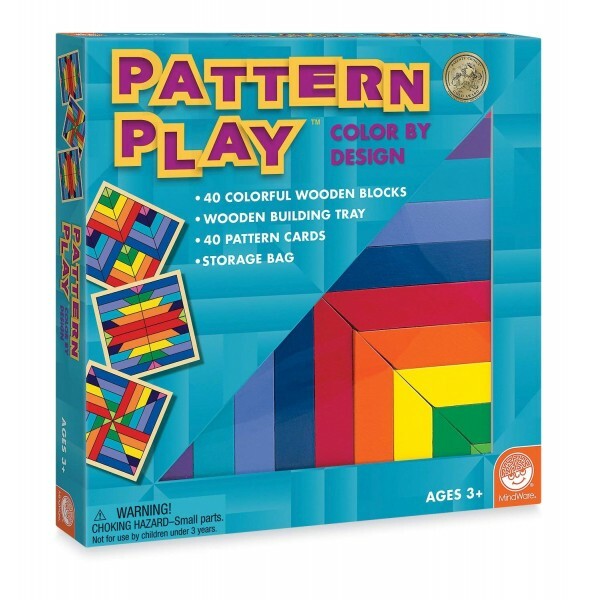 Kids can create endless patterns with this high-quality 40-block set from MindWare. 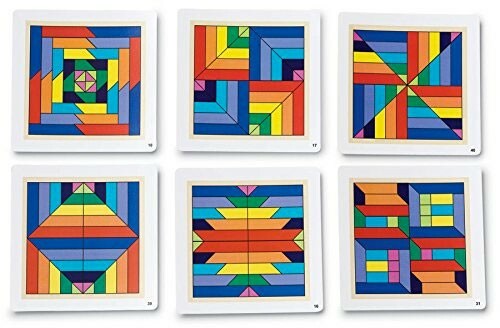 Replicate pattern card designs that fit just-so into the wood tray or break out into creations that sweep across the floor! Vibrant colors and structured shapes build spatial and artistic skills. 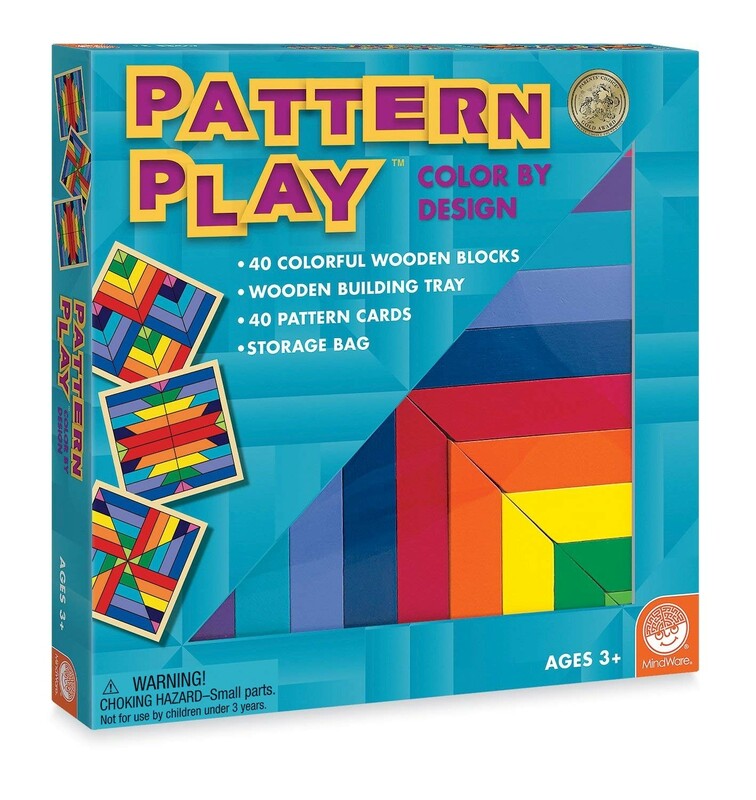 Includes 40 wood blocks, 40 pattern cards, tray, and muslin storage bag.